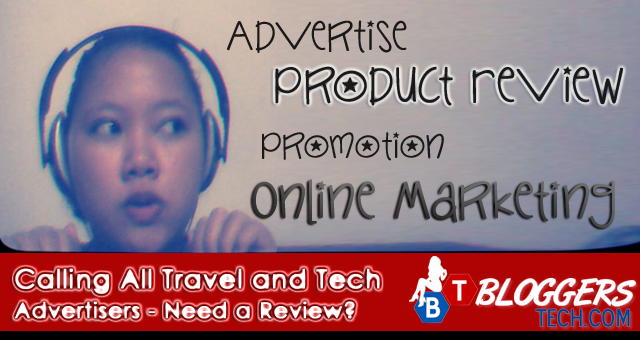 Calling All Travel and Tech Advertisers - Need a Review? One of the things that hinders between me and the advertisers on my blog is our distance. There are a number of advertisers who contacted me and asked if I could review a product on my blog. But since I live on the other side of the world, we end up to nothing. Nope! I'm not going to the US - well, I wish I can. My (older) sister is coming back home next month and she asked me what she should bring for me. So it made me think if there are any interested advertisers who wish to send their products to my sister so she could bring it with her next month. Hopefully it's not something that is really huge and hard to carry around since she'll be having a connecting flight - I think you get the thought there. 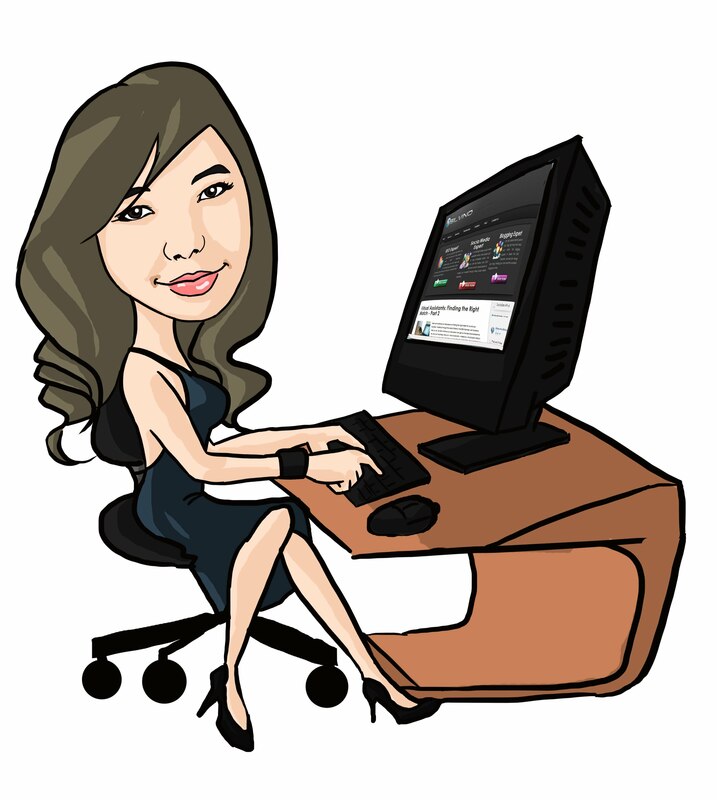 I do have reviews here in the blog but most of them are accessible online or can be downloaded on the internet like a software. So this offer is for businesses who have that physical products that they wish me to use, try, test and give a review through posting it here on the blog and on their site (if you wish). I'm a type of person who likes to discover stuff and use it. But since this is a tech blog then it's expected that we post tech related products here, right? But I also have my other blog EXOTIC PHILIPPINES a PR2 travel blog that also provides reviews but mostly hotel reviews here in the Philippines - so if you have products for travelers there this is also open for you. As for some who have products that needs an insight from kids, well I have 3 niece and a mother of 5 DOGS (not real human babies okay?). One of my niece knows robotics since they do have a robotics subject at school and the second one loves music and the youngest (as of now) loves dinosaurs (yeah, we don't know why she love dinosaurs). I, on the other hand is obviously a bit of a techie type person (some girly friends call it GEEK) and you might want just to read the ABOUT ME page where you'll know my education and some stuff about me that maybe be useful in giving you the idea if I'm fit enough to review your product. So I can review products like gadgets, digital cameras, computer and computer accessories, cellphone and accessories or any electronic products. So if you would like us to give you a review to any product you wish us to try, we would be happy to do so. As for the travel blog, I'm not sure what products there is for me but since my sister is traveling from the US to here in the Philippines maybe there's something she could use on her travel that she could provide a review later on. How much is your charge for a review? For products and item's worth is above $50 I could provide a free product review through having a blog post about a certain item. Please do take note by the way that this is considering that the item will not be returned. If you want it returned, charges may apply since my sister have to carry it back and it will occupy some space in her bag in going back to the US and ship it back to you. I think she'll be returning back on December or January. Images, videos (optional) and product details will also be provided by yours truly if the product itself is with me. I can't promise any video since I don't have a good camcorder and my brother's DSLR don't record videos - just taking pictures. Why Bloggers Tech & Exotic Philippines? Though I am from the Philippines, I've got more traffic from the US and UK, if you visit my fan page and twitter you'll also see that I've got more followers and fans outside from the country. This is also the same with Exotic Philippines. I don't want to post my sister's full address but she's in Kansas City. So if you have a product you wish me (or us) to review then just send me an email and if you're okay with everything then I can provide you with the address where to send it. If you have some questions, concerns or would like to find out more please do feel free to contact me as soon as you can. This is only until the LAST WEEK OF OCTOBER since my sister have to pack her thing. So if you're interested feel free to contact me now.